We had another good day yesterday. It was a good example of how little time we spend at home on a typical day. Kate slept a little later, but we made it to Panera for almost an hour before going to lunch. After that, we came back home. That left us about two hours before our hair appointments at 3:00. Knowing that Kate doesn’t like to stay at home for long, I gave her an option to go to Barnes & Noble. She opted to stay at home. About an hour and fifteen minutes later, she got up and went to the bathroom. When she returned, she was ready to go. It was 2:30, so I asked if she would like to go for our haircuts then or wait another fifteen minutes at home. She wanted to go the hair salon. That’s what we did. As it turned out that worked well. The person who cuts our hair did not have a 2:30 appointment and took her right in. It was a day for color, so I had time to run back home for a while before returning an hour later for my haircut. By then it was 4:00. That left us time before we were to leave for jazz night at Casa Bella. I asked if she would like to go home or to Panera. She wanted to go to Panera. I have often commented about the importance of Panera and other restaurants to both of us. It puts us in centers of activity. We often see people we know and engage in brief conversations. In addition, we meet new people who also come regularly. Although Kate obviously enjoys being at Panera, I have never heard her make a comment about it until yesterday. She loves children and had been watching a young child in his mother’s arms as she got herself a drink. Then she said, “Panera’s a nice place to be.” She went on to say something about the surroundings and the people that we see. When she says things like this, I am reminded of how much she takes in. It’s a happy moment for me. It also makes me think. I’m afraid I sometimes underestimate her. I know it is common for other people to underestimate what people with dementia can understand. We are easily drawn in that direction, even caregivers who should know better. We left Panera in time to change clothes before going to Casa Bella. When Kate was ready, she was carrying a turtleneck sweater and pair of pants that go with an old warm-up suit I used to wear to the Y in the morning. I didn’t say a word. She brought them to the car but didn’t take them into the restaurant. I would have said something if she had started to do that. It was another beautiful evening of music and socializing. We sat with one couple we sit with every time we go for one of their musical evenings. That’s three times a month. The other couple has joined us several times in the past few months. They are all interesting people, and we get along well. Kate doesn’t talk much but enjoys being with the group, and she loves the music. It was a terrific way to end the day. As expected, opera night at Casa Bella was outstanding. The two singers were unusually good. I don’t mean to take away from the singers we normally have. They are graduate students from the music school at UT. Last night, the soprano and the baritone have sung with opera companies in Europe. As you might expect, they were truly outstanding. The crowd, including Kate and me, loved them. It had been three weeks since we had been together with the couple we sit with regularly. It was good to see them. Two other people sat with us. We had known each of them from other places around town, so it was also a nice social occasion as well. We also saw several other people we know from other musical circles. Once again, the power of music spoke loudly. With all the changes that Kate is experiencing lately, music still has great impact. I am optimistic that it will be with us for a good while to come. As Kate continues to decline, it makes me happy when I see her enjoy life. Nothing else has the impact of musical performances. What makes it even more special is that we share this pleasure together. This week we have had four evenings of musical entertainment at home. I purchased two DVDs that arrived on Monday. One was Fiddler on the Roof. The other was Les Miserables. We watched Fiddler on Monday and Tuesday night. We watched Les Mis on Wednesday and Friday night. I can’t remember a time when she has been so demonstrative in her expressions of pleasure. There were moments in each musical that made her a bit teary. I should add that it’s not just the music itself that moves us. We both enjoy the visual aspects of productions, the staging, the lighting, and, especially, watching outstanding actors giving their all. The video of Les Mis is not the theater production. It was the 25th anniversary concert at the Barbican Centre in London. They pulled out all the stops for this one. They brought back former actors for each of the major roles who joined in rousing performances of some of the signature music. This is our favorite musical, and this production was spectacular. 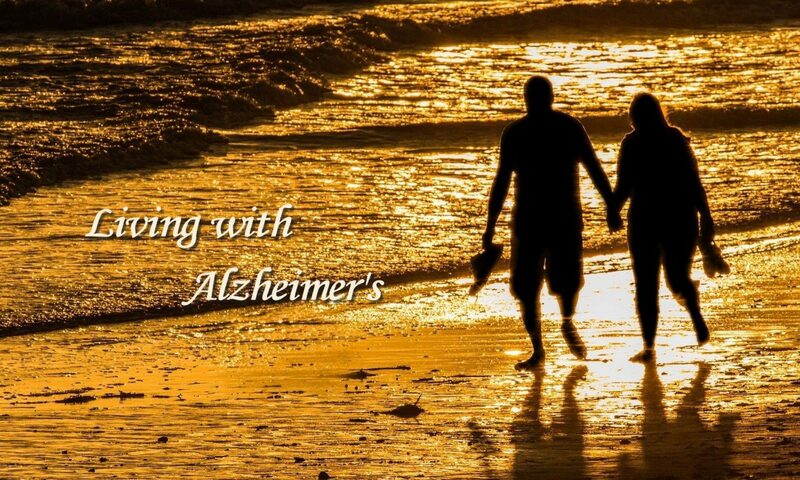 I would have loved it had I been alone, but to share this moment with Kate at this point in in her Alzheimer’s was something to treasure. Kate’s memory continues to disappear, but we are still enjoying some of the things that have been important to us throughout our marriage. One of those is attending live performances. Her enthusiasm for some things has lessened during the time we have lived with Alzheimer’s, but we both get a boost when we attend most musical events. This past Sunday afternoon we attended Hairspray at one of our local theaters. We had originally seen it on Broadway and liked it. That made me wonder if we would feel the same about a local production. I had no need to worry. It was outstanding. Each time we attend an event like this, I also wonder how Kate will enjoy it. At some point, I know she won’t. We haven’t reached that point yet. I hope it is a long way off. By chance, we sat next to a couple that we see at three different restaurants we frequent. We arrived early enough to get a little better acquainted with them. What began as a musical experience also became a social occasion. It was a banner day for us. Experiences like this go a long way in helping us to maintain a positive outlook about life. As noted in my previous post, we were at Casa Bella for Opera Thursday the other night. Once again, we had a great evening. The program and the singers were especially especially talented. For me, the most important thing is that Kate thoroughly enjoyed it. I haven’t seen any signs that her love for live performances has lessened in the least. On the contrary, it seems to be one of the highlights of her life. It was a good social occasion as well. By now, our connections with others who are in attendance as well as the servers and, especially, the couple with whom we share a table each time make for a good evening. Kate is not talkative at occasions like this. I think it can be challenging for her because of the number of people who are talking. Sometimes it calls for a little patience as well as assertiveness. The other night, for the first time, she became frustrated and displayed it. Like most of those in attendance, Kate and I arrive about an hour before the musical program begins. That gives us time to have our meal and enjoy greeting others as they arrive. One of the other guests came to our table to speak to the couple we sit with. We got into a conversation about someone else who has just had heart surgery. When he walked away, the man and woman with whom we sit continued to talk about the man who had had surgery. Kate couldn’t understand what we were talking about but must have recognized it was serious. She tried to get us to explain, but the man and the woman at our table were both talking simultaneously. It really was hard to focus on just one. Kate shouted, “What’s going on. I don’t know what you’re talking about.” With all the conversation going on at other tables, no one else is likely to have heard her, just the couple we sit with. They couldn’t have missed it. This is only third time that I can recall her doing anything like this. The two other occasions were with good friends and occurred about two or three years ago. In each case, our friends thought her response was more shocking than I did. They were both correct that her behavior was out of character for her. I would say her response at Casa Bella was stronger than the other two times. In this case, I think it arose because of the level of frustration she experienced when she couldn’t understand what we were talking about. I’m sure she could tell it was something serious and may have felt shut out of the conversation. The good thing is that after her remark, she was just fine, and we continued to enjoy the evening as though nothing had happened. Like so many other things, it does make me wonder if I am going to see more of this kind of reaction in the future. Once again, the singers were very good. We enjoyed all the music as well as the people with whom we sit. These musical nights have become very important for both Kate and me. I don’t yet see any signs they are becoming any less so. That was a great way to close our day. During the early days of our courtship and throughout our marriage music has played a significant role in our lives. It has been especially important to me. You might say it has been a form of therapy for me since Kate’s diagnosis. I keep music going almost all the time we are at home. Kate has loved live musical performances but she has only periodically expressed much appreciation for my recorded music. It appears that may be changing. On the way home from lunch, I played an album by the Susquehanna Chorale. I had heard them at Chautauqua and bought several of their CDs. The I played includes Danny Boy, Loch Lomand, Shenandoah, Swing Low, Sweet Chariot, and Deep River, among others. She has always like this CD, and I have played it a good bit in the car. This time she seemed to be especially moved. She expressed how beautiful it was and was a little teary. Yesterday, we had a similar experience. The added surprise this time was that she remained in the family room for a full two hours. It’s been a long time since I have seen her remain in one place for so long. During that time, I was playing some very soft peaceful music. It didn’t engender the teary reaction of the previous day, but she was quite relaxed as she worked on her iPad. We topped off the day by going to Casa Bella for jazz night. It is always good, and last night was no exception. She is relatively quiet but enjoys the people with whom we sit, and, of course, the music is the highlight. I am hopeful that we will be able to continue attending these musical nights for a good while. As I begin to see changes in the number of things that Kate enjoys, I am especially encouraged when she continues to appreciate live musical performances. That was again the case last night at Casa Bella. The singers and the program were especially good. The evening got off to a good start when the first vocalist sang one of Puccini’s arias. It was the first time I recall seeing the audience stand up and applaud on the very first song of the evening. In fact, I have only seen an audience stand and applaud on a couple of other occasions. Kate, who right now wouldn’t even remember that we went out last night, loved it. That always makes me happy. The fact that we share the pleasure equally is a bonus. Music continues to be great therapy. An hour ago, Kate and I left the latest Live in HD at The Met production, La Boheme. We have attended quite a number of these operas that are broadcast live in movie theaters around the world. While there is nothing like the experience of being at The Met, we find that these live performances on the large screen offer an even better experience of the opera itself. La Boheme, of course, is an emotional opera. Given the outstanding camera work, it has quite an impact on the theater audience. On and off throughout the performance, Kate reached over and squeezed my hand. As she also does at many live productions, she also expressed a few audible “Wows.” The final death scene is always moving, but I find that I am more affected by such things since I know that Kate is on that same path. I was just as taken by the opera as Kate, but the added treat for me was getting to see her express genuine enthusiasm. There aren’t many things nowadays that elicit this kind of response. The fact that she continues to enjoy musical productions makes me feel good and reinforces my hope that she will retain her feeling for music a lot longer. It’s been another great day, and my pleasure wasn’t tarnished at all when we left the theater and she asked me the name of the opera we had just seen. She had enjoyed herself even if she couldn’t remember it.